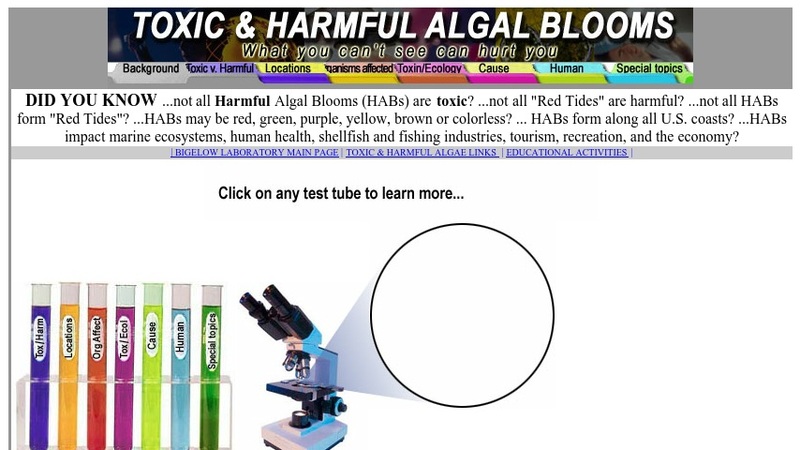 This Bigelow Laboratory "Special Topics" page discusses freshwater harmful algal blooms (HABs). The interactive web page describes the features of a freshwater HAB with a focus on location, organisms affected, human symptoms, toxins (neurotoxins and hepatotoxins), and causative organisms. Links are provided to other pages within the Toxic and Harmful Algal Blooms collection.